IMEX America 2018 is the place to be for global event planners. Taking place from October 16 to 18 in Las Vegas, the event will live out its mission to ‘educate, innovate and help all its clients make powerful connections with the right people’ by presenting a comprehensive education programme each day of the show. SmartMonday, powered by Meeting Professionals International (MPI), is a full day of free education and networking taking place on October 15 before the show opens. This includes sessions by MPI covering hot topics such as augmented reality, contract litigation, crisis management and women in leadership. The Event Design Collective is offering attendees the opportunity to gain the highly regarded Event Design Certificate (EDC) Program - Level 1 of Mastery. A full day workshop will introduce attendees to the Event Canvas Model, a strategic event management model for customer-centric events. The Society for Incentive Travel Excellence (SITE), Incentive Research Foundation (IRF) and Financial and Insurance Conference Professionals (FICP) will also join together to present their first pan-industry survey into incentive travel. The Inspiration Hub, situated on the show floor, will be the central point of focus for education during the three days of the show covering 10 tracks including Business Skills, Creative Learning, Personal Development, Technology and Trends & Research. With over 180 education sessions to choose from, attendees can tailor their show experience to suit their individual needs. Many of the key issues currently impacting the industry will be debated, challenged and advised on by experts, with many sessions taking an interactive and collaborative approach. C2 International, the ground-breaking leader in business conferences, will deliver the show’s Thursday morning collaborative session – Emotions and Technology: An exploration of audience connection. One of C2’s stellar speakers will demonstrate show how C2 harnesses tech in new ways, opening up a world of opportunities to engage and delight participants on a whole new level. Harvard University instructor, Susan Robertson from Sharpen Innovation, will show attendees how to develop and foster a Culture of Curiosity. James Morgan from Event Tech Labs and the University of Westminster presents the findings of a two year research project into creativity in events in Managing a creative environment. ‘Learn how to turn imagination into results’ is the aim of Blendz Events’ session, Fostering a creative culture in the workplace. Delivering business success and delegate engagement are the focus of many other sessions including EventMobi’s Content: your secret weapon to inspire, engage and inform and Can a single trade show inspire an entire year of engaging content? by Robyn Davies, a consultant who specialises in trade show strategy. Attendees can also discover what’s on the horizon next year when American Express Meetings & Events reveal their 2019 global meetings and events trends. 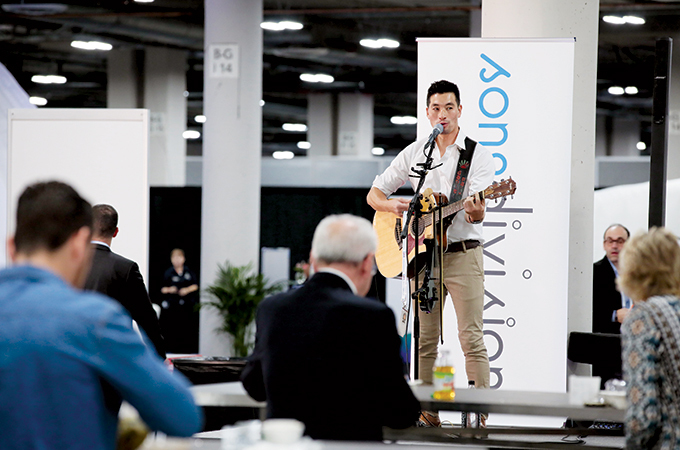 Technology is always a cornerstone of Imex America’s education and this year is no exception. Virtual reality, artificial intelligence, apps, blockchain and cryptocurrency are all explored, showing how these can be applied to events. Picking up on Imex’s legacy Talking Point, BestCities Global Alliance will discuss impactful legacy stories, guidelines for building strong city collaboration and best practices for implementation and reporting. Their session – What societal impact can your meeting have on a city – is one of the many ways the theme of legacy will come alive at the show.